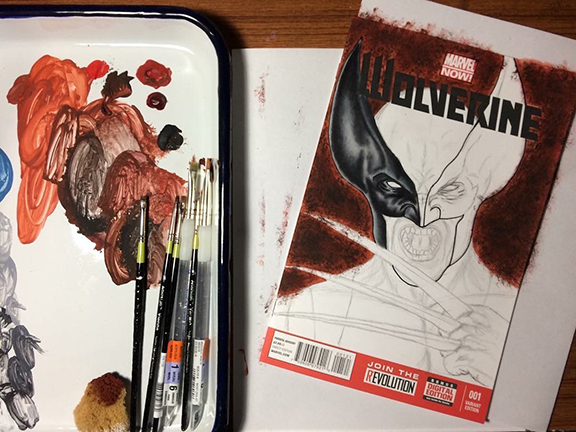 Wolverine Sketch Cover painting is underway. Here is progress shot 1 of the process. The background is all finished up and started on the mask. Rendered with Faber-Castell Art Pens and Liquitex Paint.